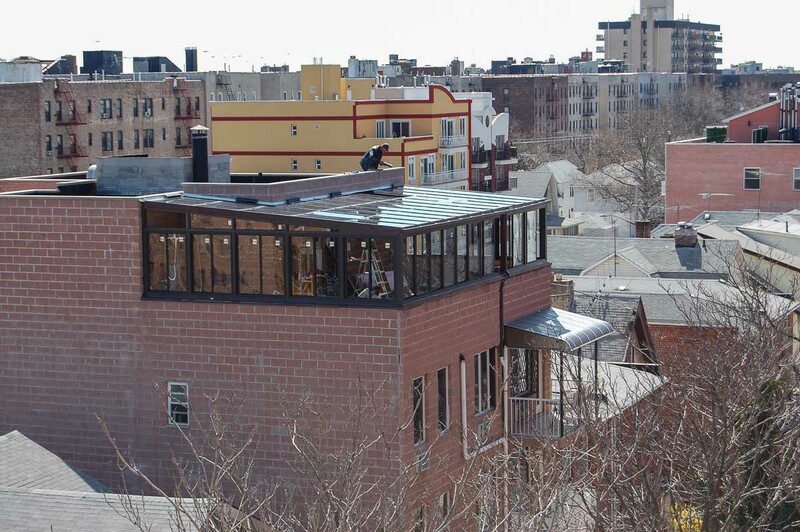 Solarium (Glass Enclosure) in Brooklyn, New York, NY. A 22′ x 34′ tempered glass enclosure built on an aluminum frame. The wood flooring and professional interior finishes create the breeding ground for memories and a proof that dreams can become reality. 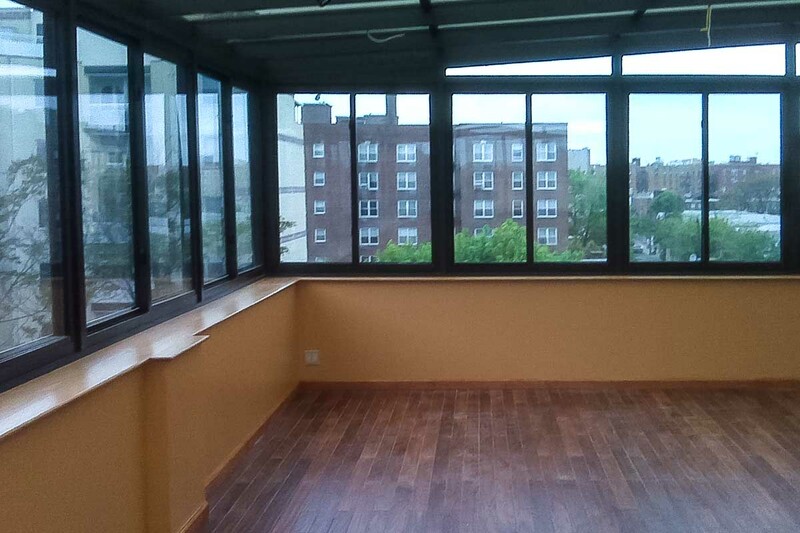 Interior of the 22′ x 34′ Solarium (Glass Enclosure) in Brooklyn, New York, NY. How Can a Solarium will Improve Your Quality of Life?